In my next life I'm living Blue-Lagoon-style, on a remote tropical island. 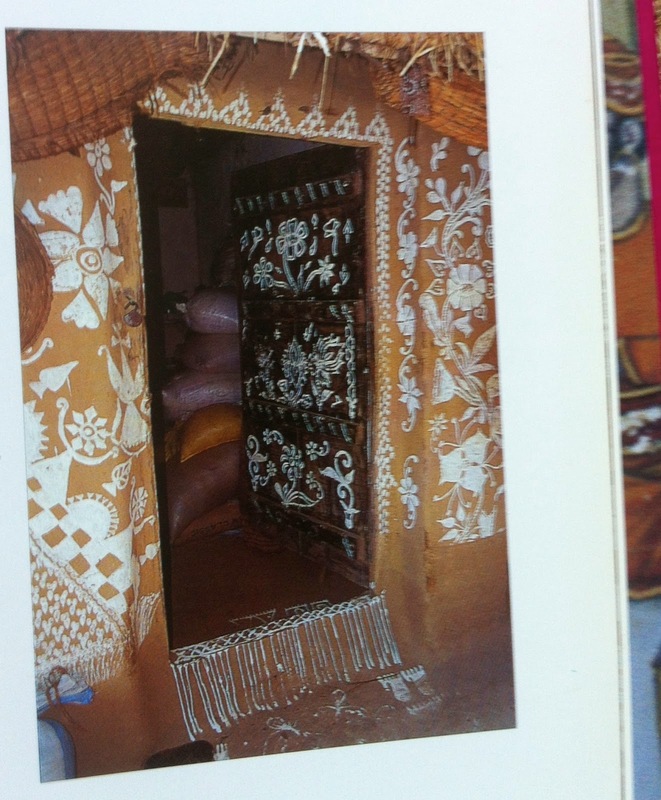 But for the design of my hut, I'm mixing up the cultural influences and drawing inspiration from the lace-like floral rice-paste wall paintings traditionally done by the women of Orissa (today this east coast Indian state is known as Odisha). 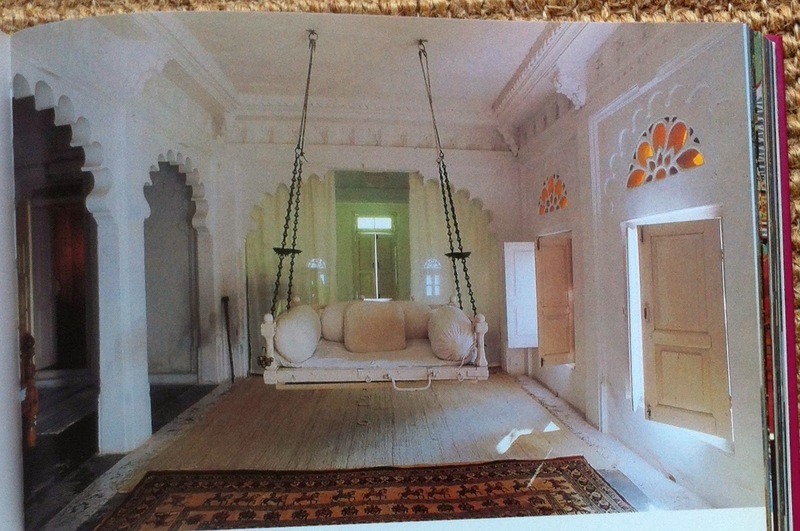 And the hut will need a living room swing patterned after this one at Amet Haveli in Udaipur. Speaking of waterfront living, don't forget Gauguin: Metamorphoses on view at MoMA through June 8. Those patterns inspired one of my upcoming designs! 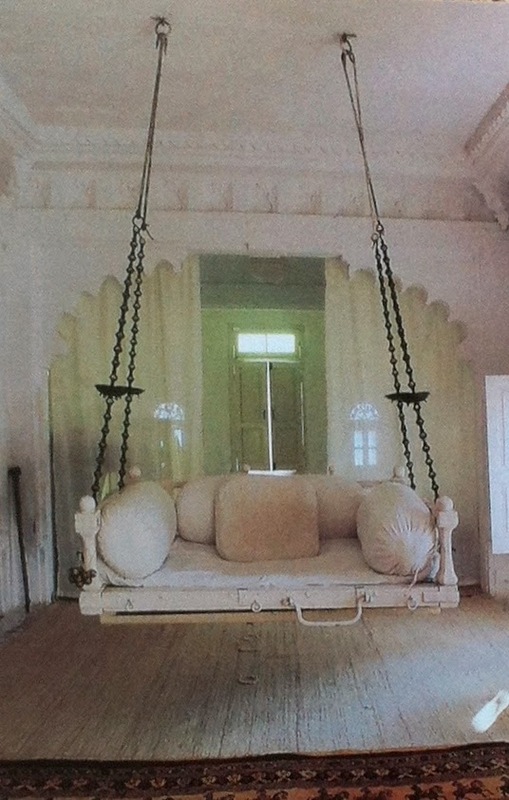 So perfect in their balance of detail and graphic boldness.